when you have no external input, that is a time when there is a creation of self, when you can do long-term planning, when you can try and figure out who you really are. Social media hurts your short-term memory. Erik Fransen is a globally recognized expert on short-term memory at Stockholm’s Kungliga Tekniska Högskolan (Royal Institute of Technology) and is affiliated with the Stockholm Brain Institute. First it impacts short-term memory formation. The fire hose stream of information that you subject your brain to during a typical session on Twitter or Facebook overloads your brain’s ability to process data and file away the important elements. Continually subjecting your brain to social media also prevents the brain from entering the “down time” mode it needs for internal clean up, storage and information transfer. Staring out the window in the back of a taxi is actually good for your brain. While you are browsing online, you could be squandering memories – or losing important information. Cognition that is not based on perception can lead to at least two different outcomes. In some situations, cognition that is independent of perception can allow actions to be selected other than those prescribed by immediate perceptual input. In others, cognition can be independent of perception and unrelated to the current behavioral goal allowing thoughts to develop that are largely independent of the actions involved in an external task. The default mode network (DMN) has been implicated in both of these kinds of perceptually decoupled thought. The current experiment used functional magnetic resonance imaging to explore whether a common region of this network was co-activated by both of these states. (ii) when actions based on perceptual input were slower. Together these data suggest that the DMN is important in cognition that is independent from perceptual input regardless of whether such thoughts result in action, or, instead compete with the behavioral goals of the moment. 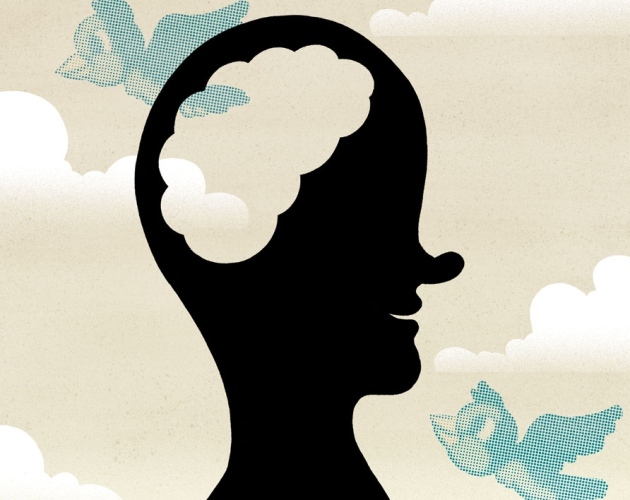 The silver lining of a mind in the clouds: Interesting musings are associated with positive mood while mind-wandering. Franklin, M. S., et al. Neuroscientists are trying to work out why the brain does so much when it seems to be doing nothing at all.